A simple and classic design that has a respect from its timeless design. Adding a rustic charm from the solid-wood frame and a nostalgic feel from the classic look. Available in Natural of Cherry colour, this bed is perfect for any child or guest room with a simple, unimposing design. 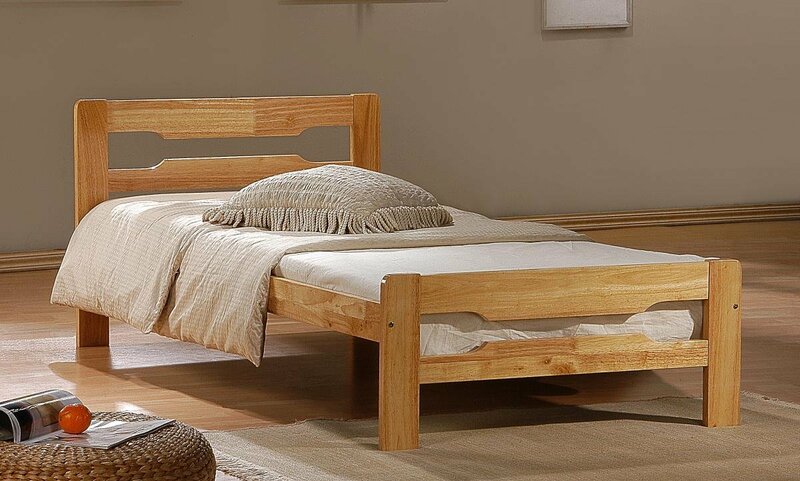 Very good quality Solid wood Bed. I love it! !